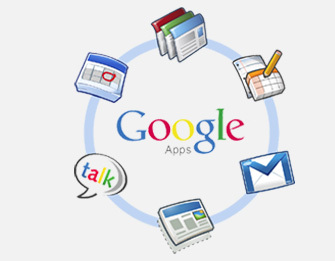 Meena Infotech is a Google Apps Reseller / Partner that can help you recognize the full benefits of Google Apps. Whether you are still evaluating cloud solutions or ready to make the move to Google Apps, tap into our expertise to make it a smooth experience. We are software development company in various domains like. mobile, web, desktop development etc. → IMAP with automatic refresh of Inbox whenever any mail arrives. → Google Apps Standard Edition/Business Email Solutions on Google Cloud Servers. World’s best and most reliable Corporate Business Email solution. Gmail, Google Calendar and Google Docs are available as streamlined mobile web experiences. These web apps were specifically designed to work on devices with smaller screens, like phones and tablets, and to perform well even with slower data connectivity typical of mobile devices. Bookmark google.com/m from your phone’s browser and add a shortcut to your homescreen for easy access. Note: All above content/logo is copyright under Google Enterprises Services website. We are leading Google Apps Business Email Services in Kanpur & We provide our services in India and all around the world. You have written a wonderful article and the topic you chose is also day to day relevant one. I really liked all the points mentioned here,. Hello! Your blog is very interesting, fascinating and more so very helpful. There is nothing good as finding quality information, and really i can say that this is one of the best. Kindly keep on sharing. Did you know that Friv is considered as a totally free game? The good thing about Friv 2019 games can also be that it speaks to all children over the age of 8 and to people and adolescents, regardless of gender. The friv games include great choices of friv action that are free online games that are easy to play. Friv's 2019 activities do not require registration while different activities are carried out, enter here to start playing for free! It has been stated that Friv games help increase children's abilities and concentration. Thank you!